According to the latest data released by Halifax, during November house prices recorded the lowest rate of growth since December 2012. Halifax revealed that prices between September and November were 1.1% lower than in the preceding three months and when looked at on a month-by-month basis fell by 1.4%, making three monthly falls out of the last four. The average price of a home in the UK according to the lender is now £224,578. Russell Galley, Managing Director, Halifax, commented on this morning’s figures: “House price growth has slowed as we approach the end of the year, falling from 1.5% in October to 0.3% in November, with the average cost of a home now £224,578. While this is the lowest rate of growth in six years, it remains within our forecast range of 0% to 3% for 2018. Mark Readings, Founder and Managing Director of online estate agency, House Network, had this to say: “Faced with a no-deal Brexit scenario, we have ended up with a no-deal housing market. 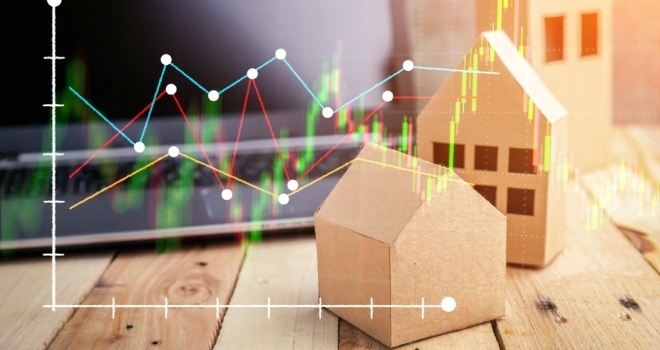 Although political uncertainty continues to be the driving force behind a high majority of serious buyers and sellers remaining on the fence, the economic fundamentals for first-time buyers are strong as help-to-buy and low mortgage rates contribute to providing affordability outside of the capital. – Mr Readings continued. Mark Harris, chief executive of mortgage broker SPF Private Clients, says: “Lenders remain incredibly keen to lend and that is a consistent message we are getting from all of them – they want to do more. Some are doing this by topping the ‘best buy’ tables with some very competitive rates, such as five-year fixes from less than 2 per cent. But not all can compete on rate, depending on how they are funded, so others are looking at increased innovation – taking one year’s accounts for self-employed borrowers, tweaking loan-to-values or becoming more competitive when it comes to lending at 95 per cent loan-to-value. This is all good news for borrowers. Gary Barker, CEO of proptech company Reapit, says: “Halifax’s latest figures showing dramatically reduced house price growth come as no surprise in the context of a sluggish market and Brexit uncertainty. The fall from 1.5 percent growth to only 0.3 percent correlates with our data showing that withdrawals are outpacing sales for the first time since May 2016, as we expect to see when prices are weak. As we head into 2019, we predict a continuation of this subdued performance, as long as the economic and political status quo remains unchanged. Transactions have been flat for the past 3 years, and caution is likely to remain whilst Brexit remains unfinished. Furthermore, if Brexit stalls, or more significant uncertainty over the Government develops, it will be a painful road ahead. However, there is room for optimism in this scenario – we are seeing house price reduction in some areas, which could make property more affordable and also boost the economy by increasing spending power and buying capacity. If the Brexit deal passes through parliament, we could potentially see a much more confident market, resulting in more transactions, fewer withdrawals, and increased prices. Jeremy Leaf, north London estate agent and a former RICS residential chairman, says: “These figures come on the back of recent encouraging housing transaction and mortgage approvals. However, they do continue the trend from last month of a softening, not correcting, market. Dilpreet Bhagrath, Mortgage Expert at online mortgage broker, Trussle, commented: “House price growth is still slow due to a lack of activity in the market and we expect this to continue throughout the winter, until there’s more clarity around Brexit and we’re all on firmer footing. There’s also a huge amount of discussion about a looming interest rate rise, which will be putting upsizers off moving as they’ll be more wary of taking on more debt.